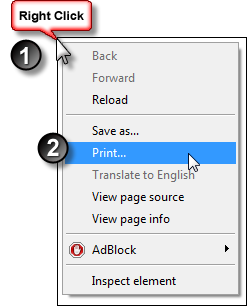 How Do I Print [this web page]!? 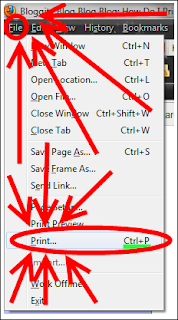 Press "ctrl-p" (in every browser ever made). Where's my "print" link? Print links are about a million years old in Internet years. 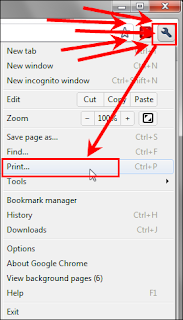 They were needed back in the day when technology couldn't easily produce "printer-friendly versions" of pages without doing server-side voodoo magic. Things have been different for years, though, and separate print pages are no longer necessary. But this other, cooler site has one! Odds are, their "print" button just calls "window.print()" which is just short hand code for, "you're an idiot and shouldn't be trusted with electricity". Hey, don't get upset with me, I'm just translating. I used to use a Windows Mobile 6 phone. It was very expensive and had every bell and whistle there was. Unfortunately, it was a terrible, horrible phone. Why? Because it was awful at everything/good at nothing. On paper, it was pretty sweet—feature complete—but in reality it could barely make phone calls. In contrast, the iPhone was a less capable device on paper, but a far superior choice in reality. As a business software developer, I see how this can happen. When a project is under strain, there’s pressure to implement the bare minimum to meet the feature’s requirements and put off less tangible things like a good user experience for the next version. But of course that next version has its own pressure. If you don’t constantly apply pressure to improve usability—a difficult to measure, but critical feature—your product will falter. That is, you can increase a product’s feature set by throwing more and more into it to make it look better on matrix comparisons, but this will come at the expense of the actual product as a whole. Apple captured the market with a holistically better device and waited to release non-core functionality like copy-paste until they could give it the attention it needed. With the possible exception of call quality, they have since addressed all the issues I listed above and brought awesome new things to the mobile world like the highly lucrative AppStore. I’ve come to develop a lot of respect for companies/projects/people that show restraint when building things instead of adding whatever random people ask for or what looks neat. This is why I now realize how important mission statements are—not just for a business but for a product. You need something to guide your decisions when relentless uncertainty arises. I occasionally restore production databases to a test system. Normally I just flip the recovery model from full and simple and I’m good to go. Unfortunately, if the database was being replicated it’s not so easy. Even if you restore the database without “KEEP REPLICATION”, which would imply all the replication bits would be cleaned up for you, the transaction log will still have a replication marker that prevents it from being truncated. This means the log file, even in “simple” mode, will grow unbounded (not good!). The database is not published. Yes, you simply enable replication long enough to clear the marker. This only takes a few seconds as it doesn’t actually generate a new snapshot or anything expensive like that. Now you’re free to truncate the log! I travel a fair bit for my job and it occasionally takes me up north to America Junior. I’ve been to Ontario dozens of times and before Sunday never once been hassled for more than five minutes. I carefully go through the motions of avoiding the dangerous “w” word and normally cruise right through. Before Sunday, I’ve been redirected to immigration twice. The first time, a very unhappy agent gave me a six month work visa without even telling me. It wasn’t until he cleared me and I was walking away that I noticed the stamp on my passport. Thanks, random disgruntled agent! The second time I just answered a few questions and was on my way. Sunday was a different story. I was making fantastic time when I crossed the Ambassador bridge. The booth agent didn’t much care for my song and dance around the “w” word and sent me to immigration. The guy there wasn’t too happy to see me either. He asked for my documentation—letter of attestation, college diploma, resume and customer contract—and was disappointed that I wasn’t sure what he was talking about and couldn’t provide any of it. I admitted that I had no idea what to do as I’d never provided anything before and asked for suggestions. He thought it’d be wise to call human resources and get a letter that shows that "there's no one else in Canada that can do what [I] do to work here as a non-Canadian." This was at 10pm on Sunday so that wasn’t going to happen (also, that was impossible—I’m awesome at what I do but not 100% unique, even in Canada). I asked if I was being turned away or if I could figure something out. He replied, “I’m legally required to give you a chance to produce documentation before I turn you away.” Challenge accepted. I also wrote a letter of attestation according to the NAFTA documents the agent gave me. Yeah, NAFTA, as in the treaty. I asked the guy if I could write this letter myself, seeing as how no one would be present at my office. He was surprised and said no one had ever done it themselves on the spot before. He couldn’t see why not so that’s what I did. This letter serves to identify Michael Haren as a senior engineer at The Rovisys Company. Michael is working closely with (redacted) for a project of international scope, based in (redacted), United States. His brief presence is required in meetings with (redacted) IT department to support this effort. As proof of his professional status, I have attached his diploma and resume. As further evidence, he has been employed by Rovisys for more than five years. I ran into a problem. I had gathered everything I needed but not in hard copy. As my lappy was dying I desperately tried to use an internet fax tool to deliver everything to them but I was really struggling with my podunk connection. In the last few moments, I transferred all the files to my phone and from there sent the files to Wife as a backup. Oh, and I put them on a flash drive for the next step. I went up to the counter and pulled out the drive. I was greeted by a new face. Apparently I had arrived at shift change and they previous guy that was helping me was gone. I had to start over but I was optimistic (my situation had a lot of room to improve, but it couldn’t get much worse). I explained that I had found everything they needed and it was all on the flash drive. Before new-face could object, I acknowledged that I knew there was no way they could plug in a random USB drive into their computers and explained that I was trying to reach someone with a fax machine. “Yes, exactly!” (if we were in the 1980s, at least, but the broad strokes were close enough). Oh that’s weird, I thought. Then, quite suddenly, I realized this meant I was headed back into the United States and shouted a four letter word. I had a decision to make. I could go through customs two more times (and pay the bridge toll twice again, too), or do something very dumb. I was tired and irritable so I did the latter. I pulled a u-ey on the bridge. Even in my tiny car it was a three-point turn but I was quick and there wasn’t any traffic. I pulled up to the Canada-booth again and whimpered, “you’re not going to believe this but I was just cleared through immigration and I made a wrong turn.” He glanced at his computer and waved me through (phew!). I quickly got onto the highway (the right one) and eventually arrived (very late) to my hotel. Hmm. 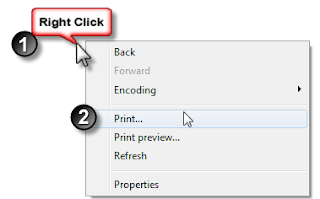 Initially I thought this was some sort of ASP.NET trick to remember scroll position. But I’m using MVC, which has a lot less unexpected magic in it so I quickly concluded it must be something else. I thought about those image maps that used to be all the rage back in 1999 and determined that my image input was causing the problem. Ah, so yes, it is recording where I click. While I’m sure that’s really great in some situations, it’s not what I want now. Interestingly, the solution to this problem wasn’t so simple. The cleanest workaround seems to be disabling the image input when the form is submitted. Since the browser won’t send the value of disabled inputs upon submission this solves the problem. Essentially all this does is find all forms with a certain class and disable image inputs when submitted. On my way into work today I heard that you’re looking for a new home for the newly retired space shuttles. It seems that a lot of prestigious museums are getting in on the action and I thought, why not me? Imagine all the jokes I’ll get to make about the price of fuel—I bet Blasty holds a lot, and nothing but primo for my baby! I can’t exactly cover the $28,800,000 it’ll cost to prepare and transport Blasty but I have that all figured out if we act quickly. It looks like you’re scheduled to land in about two hours. The local university has an airstrip two miles from my house—just land there! I look forward to your favorable decision. It is with surprisingly little regret that I announce the termination of Project Noodle. Those not directly involved can stop reading now as this is completely unrelated to anything I’ve written about recently. Project Noodle was conceived with the goal of improving the recruitment process at my company. We don’t have trouble getting candidates but we don’t have easy access to data on how successful interviewers are—that’s what I wanted to fix. The whole point of Project Noodle was to collect data with the goal of giving interviewers (e.g. me) feedback on how we’re doing. Since I can’t do that, I’ve decided to drop the project. As I just wrote, knowing when to do this is important but difficult. Many C/C++/Java candidates, even some with 10+ years of experience, would happily spend a week writing a 2,500-line program to do something you could do in 30 seconds with a simple Unix command. …Last year my team had to remove all the phone numbers from 50,000 Amazon web page templates, since many of the numbers were no longer in service, and we also wanted to route all customer contacts through a single page. As Steve goes on to explain, the wrong answer to this question is to write a bunch of code. Instead, you should leverage other tools. For example, the following tools are on the laptop I type this from right now and are capable of solving this problem in seconds: Grep, Visual Studio, Notepad++, and Eclipse. Tools like these are on all development machines and you’d be expected to be familiar with them. As a software engineer, I have an awesome toolbox loaded up with great technology to help me build neat stuff. However, as in the case above, my favorite tool (code) isn’t always appropriate. I offer my own Project Noodle as another example. Project Noodle was my software idea to track candidates through the interview process. My goal was to improve recruiting through analysis of better-captured data. After reviewing my project ideas with the actual people who would use this system, they were all very excited. They showed me how they track things now and what data they are looking to track in the future. It eventually became evident to me that the perfect tool already exists in Microsoft Excel. It turned out that the people I was designing a tool for were already using it very effectively. I could certainly improve things a bit and make the process a little smoother and prettier, but it simply isn’t worth it when a suitable tool is already in place. I think choosing not to write a program in cases like this is obvious to non-programmers, but not for us software people. For us it’s a difficult realization. In the case of Project Noodle, I’ve invested considerable effort designing it already, but I must admit that it’s not the best solution for the problem. Luckily, I came to this awareness early in the process, saving me countless hours of wasted effort. Sometimes our favorite tool isn’t the best tool. I offer just one counterexample: educational coding. It’s absolutely ok to develop something that otherwise shouldn’t be written if the purpose in doing so is self-development. How Much Does an Apple Addiction Cost? Apple’s iPad2 will be released on March 11. It looks awesome, no doubt—just like the first one, released only 11 months ago. That got me thinking: how much would it really cost to feed an Apple addiction? *Numbers do not include potentially substantial things like taxes, monthly cell charges, App Store purchases, the shakes, etc.